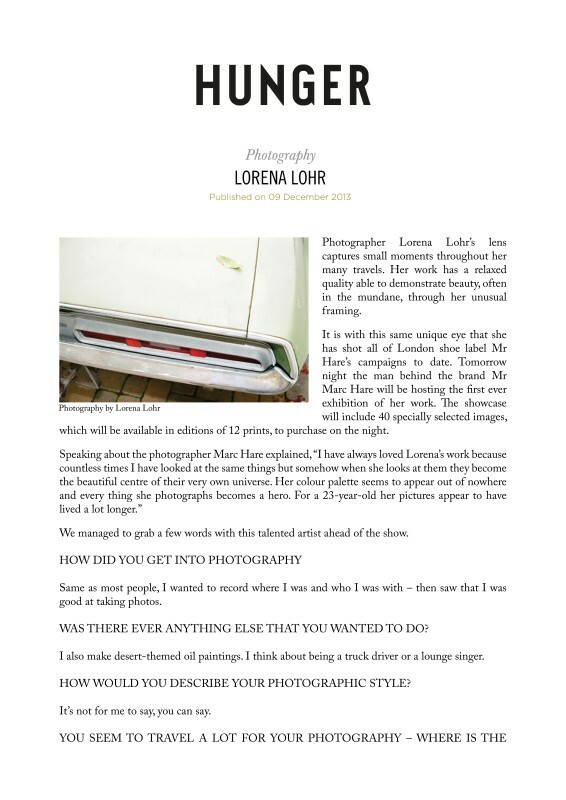 Photographer Lorena Lohr’s lens captures small moments throughout her many travels. Her work has a relaxed quality able to demonstrate beauty, often in the mundane, through her unusual framing. It is with this same unique eye that she has shot all of London shoe label Mr Hare’s campaigns to date. Tomorrow night the man behind the brand Mr Marc Hare will be hosting the first ever exhibition of her work. The showcase will include 40 specially selected images, which will be available in editions of 12 prints, to purchase on the night.